Exhausted and pale? You might need to eat more iron. Who needs it? We all do. Iron is the super-star essential mineral that helps shuttle oxygen around the body-1, making up a large portion of our red blood cells called hemoglobin. It’s also key for good overall health. If you’re gobbling up chicken livers and sweet breads on a daily basis, you’ve obviously got it covered. But what about vegetarians or vegans, or those of us who just don’t eat a lot of animal protein? As it turns out, low iron is a common problem—especially for women. Nearly 10% of females are iron-deficient, according to the Centers for Disease Control and Prevention.-2 And that’s not good, because people who don’t have enough iron can’t manufacture enough red blood cells. So their bodies become oxygen starved, resulting in fatigue. Not only might a person feel weak and irritable, anemia can negatively impact the immune system and even brain functions. There’s more: iron also helps us keep our hair glossy, nails strong, skin nice and cells healthy. If you’re feeling low, check with your doctor to find out if you are iron deficient and what to do about it. 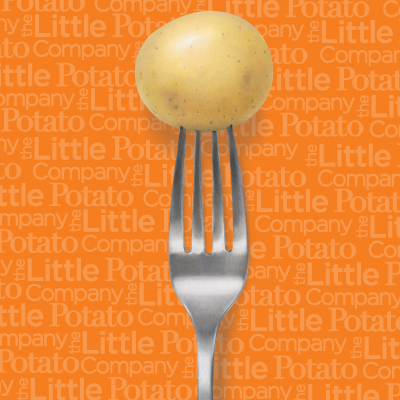 Little Potatoes also pack iron: 8% of the daily recommended allowance. Add these five terrific recipes starring iron-rich foods to your favorite menus repertoire. Your body will thank you! Clam, Bacon and Potato Foil Packs: Something fun and different on the barbecue with zero clean up. Try it on the beach! Baked Pork Chops with Sauerkraut and Potatoes: An easy one-pan dish combining Something Blue Little Potatoes with boneless pork chops smothered in onions, crushed tomatoes, sauerkraut and caraway seeds. Quick Vegetable and Potato Soup: Lentils make a more hearty—and iron-filled—veggie soup. You’ll love the tomato and basil broth. Biryani Potatoes and Poached Eggs: Instead of rice, this aromatic dish uses Boomer Gold Creamers spiced with ginger, garlic, tangy tomatoes and South Asian Biryani sauce, plus farm-fresh eggs—garnished with green onion and cilantro. Indian Spiced Potatoes with Spinach: Add chicken to this savory Indian dish to up the iron ante! ANY CLEVER WAYS YOU GET IRON INTO YOUR DIET? SHARE YOUR RECIPES AND TIPS!